Adecoe launches new free service for landlords profiled on BBC TV's Dragons Den that helps tenants save on average £350 on their energy bill. And also this year will see the start of a whole new regulatory regime, as well as a new regulator, that will directly impact on many landlords. In this addition of new we outline how housing providers are generating £millions in savings in their investment programmes and also delivering savings and efficiency gains in their communal heating systems. Plus - Adecoe wins national housing innovation award. In this edition of the newsletter we look at the new developments that will revolutionise the way we look at millions of our homes and how we tackle high rise homes. 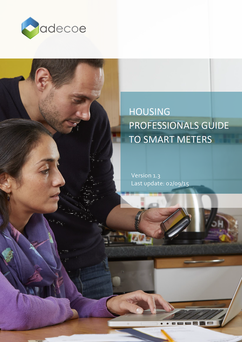 We have been working with housing providers, energy companies and smart meter providers and have developed a Smart Meter Guide and FAQs that outlines all the key information you need for your organisation and your customers. Part One of the Guide is intended to provide a first step in how to deal with homes that are heated electrically. Electric heating was and is still being installed in homes for sound reasons, but it can present numerous problems for housing providers. With electricity prices rising, and other use and control issues coming to light, electric heating can lead to issues around affordability, ultimately resulting in customer complaints. This Part Two Guide is intended to provide detailed information so that you can build your approach and make key choices in dealing with electrically heated homes. The primary focus for this Guide is existing electrically heated properties, but the methodology can also be used where there is gas. 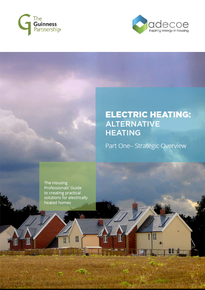 It is intended to provide guidance for social housing professionals who are considering alternative heating options. Will a little publicised compliance deadline combined with more awareness and support could herald a new era for communal and district heat networks in housing? Will we remember the autumn statement of 2015 as the starting point for something new and maybe something radical? Is there new value to be realised in social housing that will help generate income, lower costs for customers and generate efficiencies? Can Housing get Smart - the challenges and opportunities of Smart Meters in Social Housing Plus how to tackle electrically heated homes. Getting communal about compliance - the challenges of the Metering and Billing Regulations Plus Five things landlords should know about the regulations.